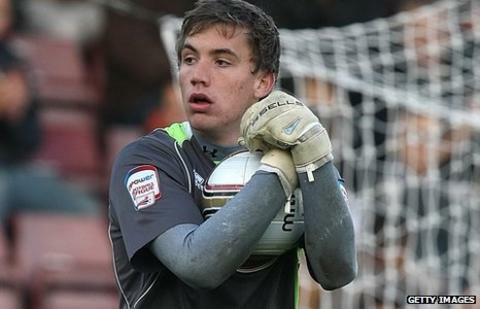 Yeovil Town have signed Chelsea reserve team goalkeeper Sam Walker on loan until the end of the season. The 20-year-old played 21 games under Glovers manager Gary Johnson while he was still in charge at Northampton Town last year. Walker's arrival comes after fellow keeper Rene Gilmartin, 26, had his loan at Huish Park from Watford terminated by mutual consent. Midfielder Max Ehmer has also left Yeovil to return to parent club QPR. The 19-year-old was first signed by now assistant manager Terry Skiverton in December 2010 and has been on loan at the club ever since, making 55 appearances. Ehmer was not scheduled to go back to Rangers at the end of the current season but all parties have agreed he will make an immediate return. Commenting on Walker's arrival, Johnson told BBC Somerset: "I loaned him when I was at Northampton. Even though the results might not show it, he did very well. "We know we can take him until the end of the season and we didn't know that with Rene. If Watford had a problem they could call him back, then we'd be searching for someone. "I didn't want to lose Sam because there's a few clubs who know about him, so I'm pleased he's back working with me." Meanwhile, Yeovil have taken midfielder Jon Routledge, 22, and defender Kelly Youga, 25, on trial.